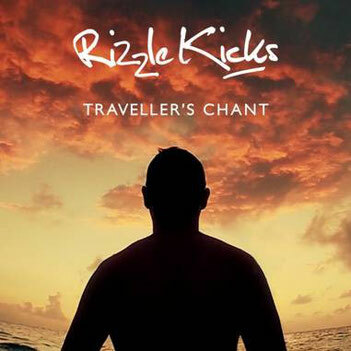 From the bright lights of New York's Times Square to a deserted beach in Thailand, you can go travelling around the world with the latest video from hip-hop duo Rizzle Kicks. The third single from their debut album ‘Stereo Typical’ is a laid-back melodic track compared to the first two singles ‘Down With The Trumpets’ and ‘When I Was Younger’. After working with Rizzle Kicks on their debut music video back in 2010, Toby Lockerbie is back again with his sixth music video for the band. Directing and filming the whole video himself, Lockerbie takes you on a visual tour across the globe from cities to oceans and back. Following a #1 UK single last year with Olly Murs for ‘Heart Skips A Beat’, 2012 is gearing up to be a busy one for Rizzle Kicks AKA Jordan and Harley. After being nominated for a BRIT this year they took to the stage to perform with Olly at this year’s awards to an overwhelming response. Most recently they performed ‘Mama Do The Hump’ on The Jonathan Ross Show, which you can see below, it’s awesome! The pair are currently on a nationwide tour that has already had an amazing response and they are yet to play hometown Brighton followed by two nights at Shepherds Bush Empire.